It is my hope that this thread can serve as a solid reference point for anyone with questions regarding the various differentials installed in the JZA80. This is a 'master list' of the factory installed differential configurations offered in the Supra in the US & Japan. Anyone with further information/corrections is welcomed and encouraged to post up! I will clean/edit this post to suit. I'd like to see this thread or another like it become a sticky to help with these constant questions being posted about differentials. 'Big flange/Small flange' refers to the 3- bolt input flange (aka companion flange) that bolts to the rubber 'donut' between the diff and driveshaft. This flange can be unbolted and changed on both the small and large differentials. TT 6-spd 93-96 EU spec: 3.266:1 ---- LSD standard, big diff, big flange, fittings to suit external oil cooler. 4.272:1 - US-spec NA's 93.5-96 (Other Export markets too?) LSD optional, small diff, small flange. 3.133:1 - All US-spec TT 6-spds. LSD standard, big diff, big flange, cooling ears on diff cover. Any LSD for a 'small diff' application will install into any other 'small diff'. A TT auto or NA Supra's factory option LSD or aftermarket LSD intended for a TT auto or NA will install flawlessly into any other 'small diff' whether it came from a MK4, SC, or GS. USDM TT autos fitted with the Torsen LSD have slightly longer axle stubs in the differential, and when fitting a TRD LSD or other aftermarket LSD, it is recommended to swap to the NA axle stubs to avoid compressing the CV joints. I suspect this holds true with any 200mm carrier that was fitted with a factory Torsen LSD. Axles in 92-97 SC300/400's can be swapped into Supras, and vice versa. There is some indication that the axle stubs themselves may have changed size/bolt patterns on some later 2JZ-GE diffs to a smaller pattern that prevents the exchange of CV axles. Any axles for a 92-97 SC or TT auto/NA Supra should swap across those platforms. If installing a 6-spd 'big diff' into any of those platforms, the bespoke 'big diff' specific passenger side axle is required for optimal CV operation. Some drag racers have told me the thicker early TT auto axle can be used in a pinch, but that installation is difficult and CV life is compromised. I have not confirmed that personally but maybe it'll help someone. *Early US spec TT's had 29.15mm axle shafts, Early US spec NA's had 26.5mm axle shafts. By '97, the TT axles were 26.9mm, and the NA's were 25.4mm. Strength differences are unknown but I suspect the early TT axles to be the 'beefiest'. Axle shaft sizing on JDM and Euro market Supras currenty unknown - does anyone have some data on that? ** I'd love to know more about the SZ-R 6-spd's differential, namely the input/companion flange size, if it had the stronger TT axles, and whether or not it shares the same ear-like cooling fins found on the TT 6-spd differential covers. I have read from other sources that the SZ-R 6-spd is a 3.916:1 rear diff ratio. I'd love to see it confirmed as to which one it is, or both, and which years they may be found in. *** I have no data as to whether the LSD was optional or standard on the auto JDM RZ's and GZ's. **** All TT 6-spd differentials have the 'ears' of cooling fins sticking out from either side of the differential cover. I don't know if the European-delievered TT 6-spds with an OEM external differential coolers had them, though. I also need confirmation on whether or not the cooling 'ears' were present on all 6/96-2002 JDM RZ's and RZ-S's or if they were eliminated or optional at some point. *****Did the EU TT autos also get an external diff cooler? The JDM NA automatic diffs - some sources say 4.083:1 like the 5MT, others say 4.272:1 and others still say 3.766:1. Anyone know more? SZ-R V161/6MT cars - LSD standard or optional? Were stronger TT auto axles used, or thinner weak NA ones? Did it have the cooling 'ears' on the diff cover? JDM TT auto diffs - LSD standard or optional? which years/models? I'll put together a cross- reference of differential from other vehicles that can be swapped over, and add that to this post or another one in this thread. Edit 10/08/10 : Corrected diff code inconsistencies. Edit 10/13/10 : added search keywords at bottom of post. Edit 4/6/12 : Corrected US spec axle shaft information, cited source. Last edited by Wreckless; 05-21-2018 at 12:36 PM. Toyota started referring to (The MK4 200mm) gearset as 208mm in the mid-2000's, and it is used in a number of late-model Toyota/Lexus models (and always referred to as 208mm after about 2004) including the IS350, IS F, LS460, etc. In the 1993 Supra NCF, Toyota refers to both the G-series (MK3) diff (previously referred to as 8-inch) and the new small diff as 200mm (7.87"), however, the same diffs are later referred to as 205mm (8.07") (for example, in the 1997 Supra NCF, and the 2001 IS300 NCF), and then later, for the A80 diff, as 208mm (for example, in the 2006 IS350 NCF). Toyota also updated the measurement of the large JZA80 diff, in 1993 it was referred to as 220mm (8.66") and in 1997, 222mm (8.74"). So the same diff, (A70) has been referred to, by Toyota, as 8-inch, 200mm, and 205mm, while another was also referred to as 8-inch, 200mm, 205mm, and then 208mm; and yet another was 220 and then 222. The most recent designations for these types of differentials is the F20/FD20 for the earlier G-series (8-in, 200mm, 205mm) differential, and F21/FD21 for the newer (8-in, 200mm, 205mm, 208mm) differential. The important information is that the A70 differential and the A80 small differential, while historically referred to by Toyota as being the same ring gear size, are NOT interchangeable, and they have been, for the last 15 years or so, referred to as 205mm (F[D]20) and 208mm (F[D]21), respectively. JzxStag, the 3.58:1 gearset is probably the best you could realistically find from a Toyota for the G-series. This is a partial list of all the differentials that can be directly bolted into the JZA80 Supra subframe without modification. Note that the driveshafts and axles might need to be exchanged to complete the conversion, depending on the host Supra and the differential used. BIG UPDATE 10/7/2014 - Correction to 1997 and earlier V8 models, the SC400 in particular. The pre 1997 Lexus SC400's (as well as the LS400's) used a small flange on their differentials. Sometime in '97 (9/97 according to the EPC) the SC400 and other V8 Lexus models went to the larger flange and larger coupling as used on all TT Supra models. I apologize for having flawed information for so long, and for repeatedly passing it along as fact. I'll be cross-checking all of the existing information here to verify accuracy in the Toyota EPC. 1997 Lexus SC400 (auto) after MC but before going to 5AT trans - 3.916:1, open, small diff, BIG flange. I need verification on more of the 00-up Lexus models, anyone with a source of this info PLEASE let me know! I'm uncertain about this data, if there are errors in this, PLEASE let me know so I can correct it! *Canadian market SC400's came with a Torsen LSD - US spec SC400's did not. ** I've found references in the European Toyota EPC that lists the same 3.615:1 ring and pinion kit in the European GS's in the worldwide UCF10 LS400's as well. I know for sure that the LS400 pumpkin does not swap, but it appears that the internal geometry is identical to the 200mm diffs found in the Supra, SC, and GS's of the 90's to early 2000's. If this is true, this means that an LS400 3.615:1 final drive could be installed in a 200mm SC, Supra, or GS diff during a rebuild, if desired. This would be a boon to those wanting a little bit taller gearing than the TT auto's 3.769:1 without having to jump all the way to a 3.266:1, or find an extremely rare 3.538:1 European market 'big' diff. *** At least one 2002 model SC430 diff has been swapped successfully into at least one JZA80 chassis without incident. The SC430 differential used in that swap started life as an open diff and had a TT auto's Torsen LSD installed without incident. The SC430 was never offered with a factory LSD, so the TT Supra LSD rear end has become a popular swap for SC430 owners. In the 2006 model year, the SC430 went from a 5-spd automatic to a 6-spd automatic, and at that time, the final drive ratio was changed to the same one found in US delivered TT automatics, 3.769:1. Apparently the later 3.769:1 diff, as well as complete Supra TT auto LSD pumpkins, have become a popular swap for owners of 02-05 SC430's interested in the obvious improvements in acceleration. The TRD LSD for the Supra TT auto/NA (small diff) has been a known upgrade for the SC430 community for some time, and the early SC430 diffs should prove to be a readily available option for those seeking to go to a 3.266:1 final drive. Last edited by Wreckless; 05-23-2018 at 08:42 AM. Reason: New Info!!! Would be pretty cool to add the OEM part numbers of the respective differential carrier assemblies and/or final gear kits. External diff cooler: The EU spec diff housing has to be different to the US spec diff as the US housing doesn't seem to have holes/plugs for the cooling lines. Last edited by Gery; 09-29-2010 at 04:57 AM. Gery, great information, thanks for the post! I had no idea the EU spec TT autos had unique differential ratios. Do you have any information on European-delivered 2JZ-GE Supras? The differential codes for the European Supras you listed show them all as being the bigger B-series 220mm differential, even in the TT automatics. Do you have any way of confirming this? Did the European Spec TT Autos also have differential coolers? If those EU spec TT autos all had the larger B-series diff, that means a R&P kit exists to install a 3.538:1 ratio into a USDM TT 6-spd differential! Part numbers are a great ideal - I'd love to list that out in the second post once I can get that information together. I want to keep the first post as simple as possible for ease of reference. Pictures of as many as possible would also be excellent - once a collection is put together I can host any images necessary on my own server to ensure that they will always work, so this can serve as a viable reference in the future. Keep the good info coming! Last edited by Wreckless; 09-28-2010 at 01:42 PM. I thought the diff oil cooler could be retrofitted into the US ones by drilling and tapping? Yes, it can, it just doesn't have those holes in the differential housing from the factory. That's why you have to add them. and was it one of those things that we just never got here in the US due to cost or some other factor? Also, are there any pictures of these by chance? The differential codes for the European Supras you listed show them all as being the bigger B-series 220mm differential, even in the TT automatics. Do you have any way of confirming this? Maybe a member in here has another source to check the codes. Did the European Spec TT Autos also have differential coolers? That's some excellent information, thanks! Did the Arab/GCC delivered TT models share the same specs as the EU delivered TT's? Last edited by Wreckless; 09-28-2010 at 02:28 PM. 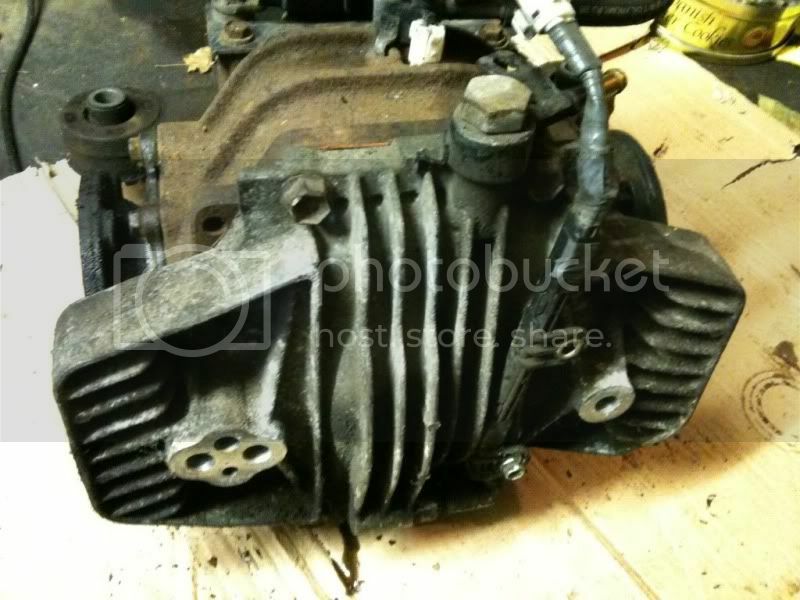 Took some time but I found some pics of the actual pump on a 6 speed diff. Did the Arab/GCC delivered TT models share the same specs as the EU delivered TT's? GCC were NA models only. The NA GCC 5-spd seems to be equipped with the differential from the TT Auto EU-spec, and it looks like they both, 5-spd and Auto GCC spec came with the diff cooler (due to the climatic conditions in the gulf region). very nice topic good help !! !nice guy !!! Is there a link or build thread on how to install a rear diff cooler on USDM 6-speed diffs? My ISP is going crazy at the moment. Everytime I click search the page hangs. I looked mine up not to long ago and I have a little different info that you do. You have the ring gear as 200mm I found it listed as 138mm. I am looking for where I got this info to add to this post. That's the much older series of Toyota diffs, of which the MK3 had the G-series. These diffs used a letter plus a 3 digit number to follow, such as G285. With the Mk4, SC300, and similar vehicles introduced in the 90's and later, The engine bay/door tags list the differential in 4 characters with a letter at the beginning and the end, such as A01A. Thus, a JDM TT Auto with LSD would show an A02B - A for the 200mm ring gear, 02 for the 3.769:1 ratio, and 'B' for the Type 1 Torsen LSD. I'd love to find out the diff code for the USDM 3.133:1 ring gear, that's really the only missing puzzle piece from the JDM list. This JDM list is consistent with the diff codes provided by Gery for the European, Middle Eastern, and World models for which he listed information. Hope that clears up the misunderstanding! Last edited by Wreckless; 09-29-2010 at 01:53 PM. I did update my info sheet for my Supra TT. I was wondering if anyone figured out if the Euro spec 3.53 Auto R&P will fit on a US Spec 6 speed differential? If so I can get all of these ring and pinion kits tax free. You will have to pay the US dollar to the Euro rate for that particular day. Just thought that I could help out as well. I can also get the external pump etc. whatever anybody needs I can get tax free. 97Silber: I'd be interested if that was the case. 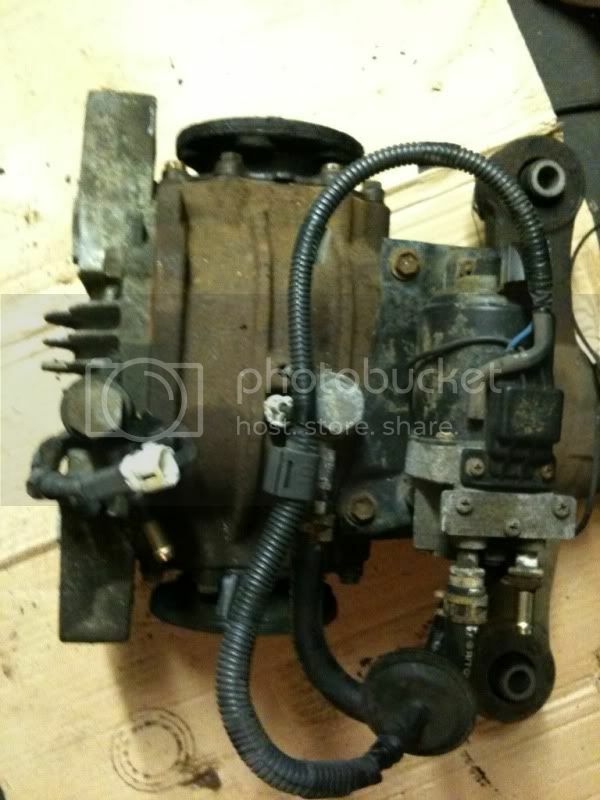 Do you have any idea what the current rate is for the pump setup and 3:56 gears? Yes, they are the same ring & pinion size and by everything I can find, it would be a direct swap for the US spec 3.133:1 ring & pinion, or the whole differential would swap if that's what you wanted to do. Interesting thread .. Thanks a lot Jeff for sharing those info. I need verification on the 00-up Lexus models, anyone with a source of this info PLEASE let me know! *I've personally found an SC400 in the junkyard with a 3.916:1 rear diff with an OEM LSD installed. The car was 100% stock, so I assumed this to be an OEM option, not parts-swapping from a MK4. Other sources indicate that no Lexus model was offered with an LSD until the IS300 debuted in 2001. I'll update this list as soon as I can confirm it one way or another. That is VERY interesting/strange. What year SC400? 1992-1997 had the 3.916 ratio so that is my guess. Possibly a factory magazine or pre-production car that was so fitted? I have always believe your quote "no Lexus model was offered with an LSD until the IS300 debuted in 2001"
Any known 1998-2000 SC400s with confirmed LSD factory installed per above? 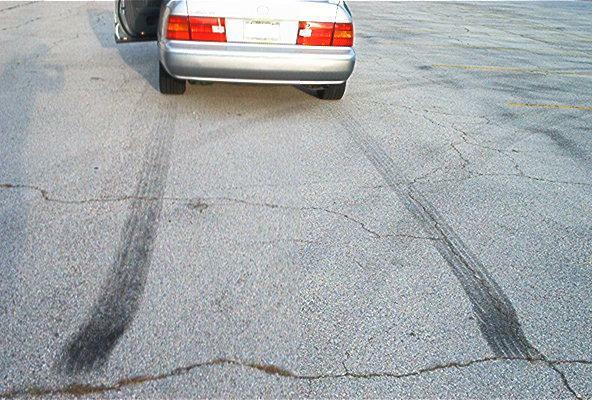 It is very normal for the open diffs to develop enough internal friction to function as an LSD (both tires spin burnouts). The 1998-2000 LS400s with 3.266 open diffs should also be a bolt in with the possibility of swapping the diff cover for bolt placement. Here is my 1999 LS400 with an open diff that has gone LSD. My axle code on my 93.5 6/speed is "B07D" and what does 07 stands for? 93.5 6/speed supra, SP67GTQ, RPS C/C, HKS 264s, AEM, Ivey tune, CCW/ET Street. TRD LSD, 3.27 gear.